MILWAUKEE, Wisconsin (June 4, 2014) – National Volleyball League (NVL) CFO and current pro beach player, Molly Menard, will join Verizon IndyCar teams and fans on June 10 for a table tennis round robin and autograph signing in advance of the NVL Pro Tournament at Milwaukee IndyFest August 16 – 17. Through a partnership between the ABC Supply Co. Inc. Wisconsin 250 at Milwaukee IndyFest Presented by the Metro Milwaukee Honda Dealers and Evolution Gastro Pong, fans were given the opportunity to enter a contest to play table tennis with Menard and participating Indy stars by tagging #IndyFest in their posts on Facebook, Twitter, and Instagram between May 27 and June 4. Several Verizon IndyCar teams will be making the trip to Milwaukee June 10 – 11 to test their cars and setups before the race in August. 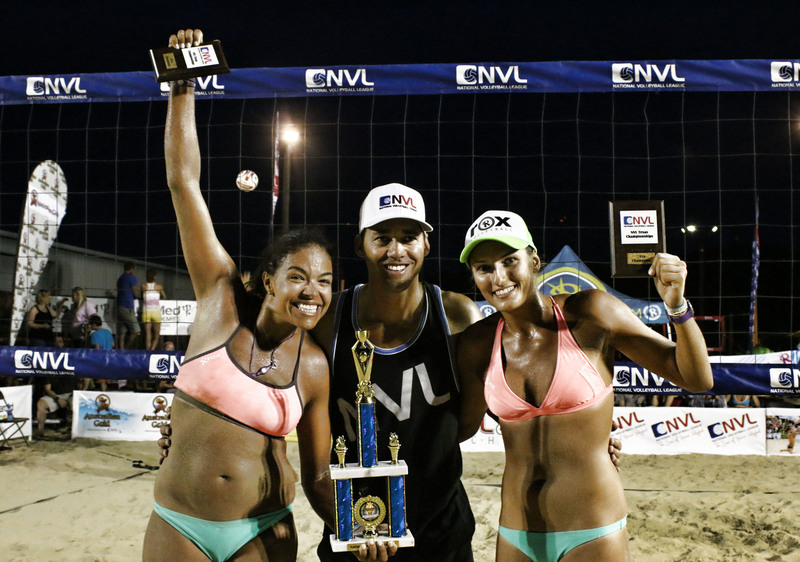 On June 10, the night before the test, NVL’s Molly Menard, drivers from Andretti Autosport and Schmidt Peterson Motorsports will be playing table tennis and meeting with fans at Evolution from 4-6PM. Winning fans will play in a tournament for a chance to compete with drivers Marco Andretti, James Hinchcliffe, Ryan Hunter-Reay, Simon Pagenaud, Carlos Munoz, Mikhail Aleshin, and resident Evolution Pro, Mike Jenders. Fans not competing in the tournament are encouraged to come by and watch, meet drivers and get autographs. Click here for additional event information.